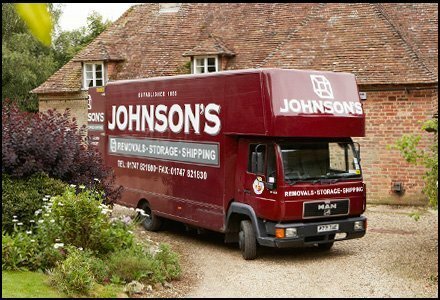 Johnson’s have been doing removals in Shaftesbury for almost two centuries, which has given us ample opportunity to become to the best at what we do, undertaking moves with the kind of care and consideration it’s not always easy to come across. Not every removals company in Shaftesbury is like us – we offer storage, self-storage, man and van hire and local/domestic/international shipping. If you’re on the move, we’ve got everything you need to make sure it goes smoothly and with a minimum of stress. Looking for removals companies in Shaftesbury isn’t easy, when there’s so many of them. Where do you start? We suggest opting for a company that’s been around a while, so you know you’re not in the hands of a fly-by-night, shoddy outfit. We’ve been doing since the mid-1800s and there’s no kind of move we haven’t done. We can anticipate problems before they occur and we also do office moves, helping companies throughout the county and beyond. Our storage facilities are situated in Gillingham. We use units which stand at 8ft (measuring 5×7 at the base) and our clients find them incredibly useful for a number of situations – sometimes, they’re in between houses and renting while they house-hunt, sometimes they’re downsizing and need to store excess belongings. We’re also able to store specialist items, including pianos and artwork, thanks to our temperature-controlled facility which keeps everything safe. If you need storage in Shaftesbury, we’re here and ready.